A new report by Cook et al. (2013) examined nearly 12,000 peer-reviewed papers in the climate science literature; the analysis found that 97% of the papers that stated a position on the reality of human-caused global warming said that global warming is happening and human-caused, at least in part. 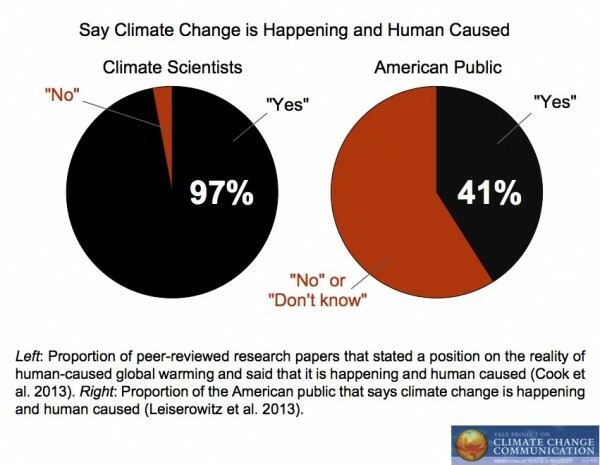 By contrast, only 41% of Americans say global warming is happening and human-caused. Assuming the scientific literature reflects climate scientists’ conclusions about global warming, Americans’ belief in human-caused global warming is about 56 percentage points lower than that of the climate science community. Despite nearly unanimous agreement among climate scientists that the Earth’s climate is warming due to fossil fuel burning and other human causes, only 42% of Americans believe that most scientists think global warming is happening. 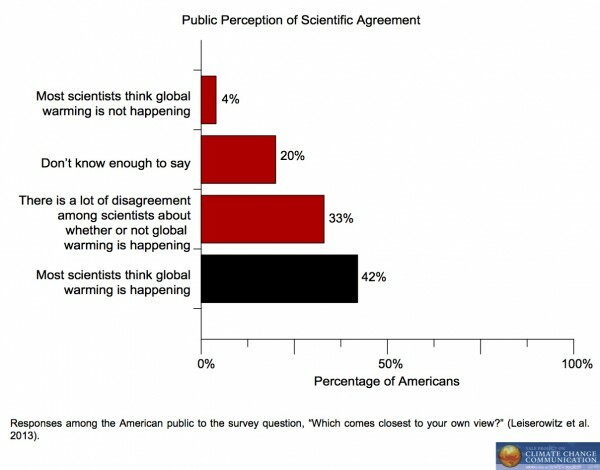 One third (33%) of Americans believe that “There is a lot of disagreement among scientists about whether or not global warming is happening” (Leiserowitz et al. 2013). 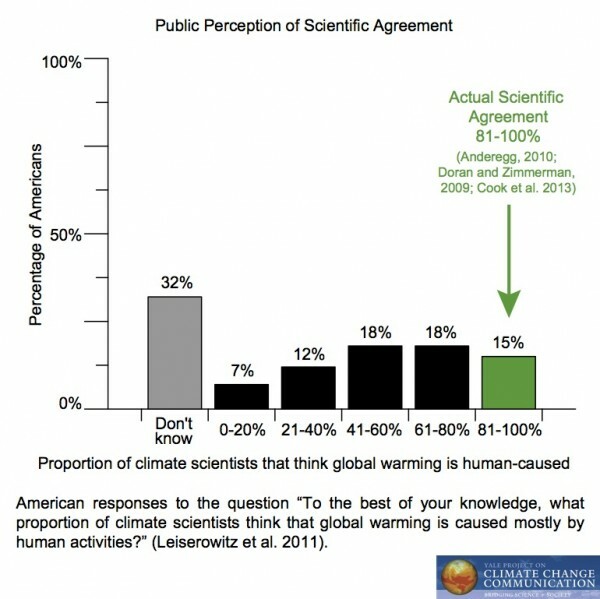 Further, in May 2011, we found that only 15% of Americans correctly understand that over 80% of climate scientists think global warming is human caused (Leiserowitz et al. 2011).